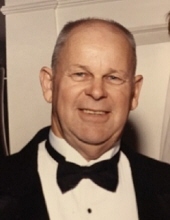 MSG (Ret) Robert “Bob” Northcutt, 85, passed away on Friday, February 1, 2019. Mr. Northcutt, born in Brookesville, Kentucky, to Effie Baker and Norvell Northcutt, both deceased. Bob made his home in Malta and Zanesville since 1977. Bob entered service in the U.S. Army in 1951, at the age of 17. During his more than 20 years of distinguished military service, he retired in 1973 with the rank of Master Sergeant. He received numerous decorations and distinctions, including the Distinguished Service Cross, four Bronze Stars (three for valor, one for meritorious service), three Purple Hearts, two Combat Infantry Badges, two Army Commendation Medals for meritorious service, Good Conduct Medal, two Nation Defense Medals, Korean Service Medal, U.N. Service Medal, Vietnam Service Medal, Vietnam Campaign Medal, and Korean Presidential Medal. After his military retirement, Bob worked for several business enterprises, and the Morgan County Board of Education, fully retiring in 1995. He was a life member of the Zanesville VFW Post 1058, a life member of the 31st Infantry Regiment Association, and the 17th Infantry Regiment Association of the Ohio Flag Unit. After his full retirement, Bob traveled throughout Ohio and other states, attending parades and military meetings and reunions. Bob was a dedicated philanthropist; he donated marble benches in honor of military veterans throughout the state of Ohio and in Kentucky, donated generously to Genesis Health Care Foundation, funding the new purchase of more than 50 new wheelchairs and funds for books for the pediatric unit. Bob was well-loved in both the Malta and Zanesville community; his life partner Lena Mae Caplinger and her entire family have been his companions and friends for more than thirty years. Bob’s siblings Christine Porter, Irene Pence, Norvell Northcutt, and Frank Northcutt preceded him in death; he is survived by his brother Joe Northcutt. He was married for twenty-four years to Dorothy Hodge Northcutt, who preceded him in death, and had four children, Robert Wayne, Ruth Elaine, Randall James, and Rhoda Jane. Bob leaves behind the Caplinger family, his children, and four grandchildren, Jennifer Johnson, Douglas Northcutt, Michelle Joan Barrett and Laura Deane Barrett. Friends may call on the family from 1-3 P.M. on Tuesday, Feb. 5, 2019 at the Matheney Funeral Home in McConnlesville. Burial will follow at a later date in Arlington National Cemetery. In lieu of flowers, donations can be made to the Zanesville VFW Post 1058. To send a note of condolence to the family go to www.matheneyfh.com. To send flowers or a remembrance gift to the family of Robert Northcutt, please visit our Tribute Store. "Email Address" would like to share the life celebration of Robert Northcutt. Click on the "link" to go to share a favorite memory or leave a condolence message for the family.